Can anyone beat Harden to the 2018 MVP Award? The race to the top for the NBA’s MVP award is one that typically goes into overdrive at this time of year. From the start of the season, all those months ago, James Harden has been the man everyone has to beat, and few have looked likely to do so. All that was thrown up in the air in early January when Harden was sidelined with a hamstring strain and missed seven straight games. However, when he returned to action on January 18 and saw the Rockets to another comfortable win over the Timberwolves, the natural balance of things appeared to have been restored. These days, there is more resting on the MVP award than the simple matter of kudos and promotional deals. Online betting sites and sportsbooks like Online Casino Bluebook say they see as much gambling interest in “specials” such as who will win the MVP, Rookie of the Year and Coach of the Year, as they do in which teams will win a match or make the playoffs. 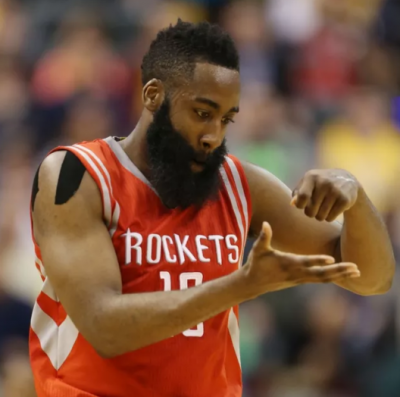 So is the MVP award Harden’s for the taking? He has certainly returned to the position of hot favorite, with bookmakers offering odds of around 1/3 on. But nothing is guaranteed in sport, and those thinking outside the box and willing to stake their money on their convictions could still get the last laugh. Here are the other main contenders. When Harden’s injury hit the headlines, there was a brief period when James became favorite to scoop the MVP award. He remains the one player who has a real chance of still snatching it. James recently became the seventh and youngest player in NBA history to hit the 30,000 career points milestone, and at the same time, the Cavs have turned around their early January losing streak and got back into winning ways. Anything is possible, and bookmakers are quoting James at 3/1 for the MVP. The Greek superstar exemplifies everything that is good about sport. While his talent on the court is undeniable, it is the impact he has had with fans, particularly in the Greek community, that has been so wonderful to see. The Milwaukee Bucks have had a so-so season, that would have been far worse without Antetokounmpo’s star quality. The bookmakers are quoting 14/1, and realistically, the MVP title is unlikely this year, but he is still just 23, and his time will come. The Golden State Warriors are looking like the team to beat, and Durant has played as pivotal a role in their success as anyone. However, his off-court comments do not do the 29-year-old small forward any favors. When Clint Capela joshed that the Rockets were better than the Warriors, a wiser soul might have let his on-court actions do the talking. Instead, Durant launched into an expletive-ridden counteroffensive. The bookmakers still give him an outside shot at MVP, with most offering around 20/1.